In 2014, PVF awarded grants to six young Bay Area residents for coming up with fresh ideas for building better communities. These awards were made possible through the Bay Area Inspire Awards, which provides $10,000 grants to 18-30 year olds living in San Francisco or Alameda Counties with an innovative, community-oriented idea. PVF interviewed each grantee to give you a sense of what these amazing individuals are doing to change their communities for the better. 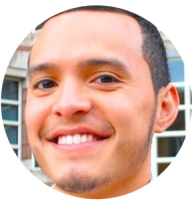 Below is our fifth interview with Paul Monge-Rodriguez, who is using his award to conduct a feasibility study for a San Francisco Parent University. When implemented, the University will help caregivers become better-prepared advocates and partners in their children’s education . 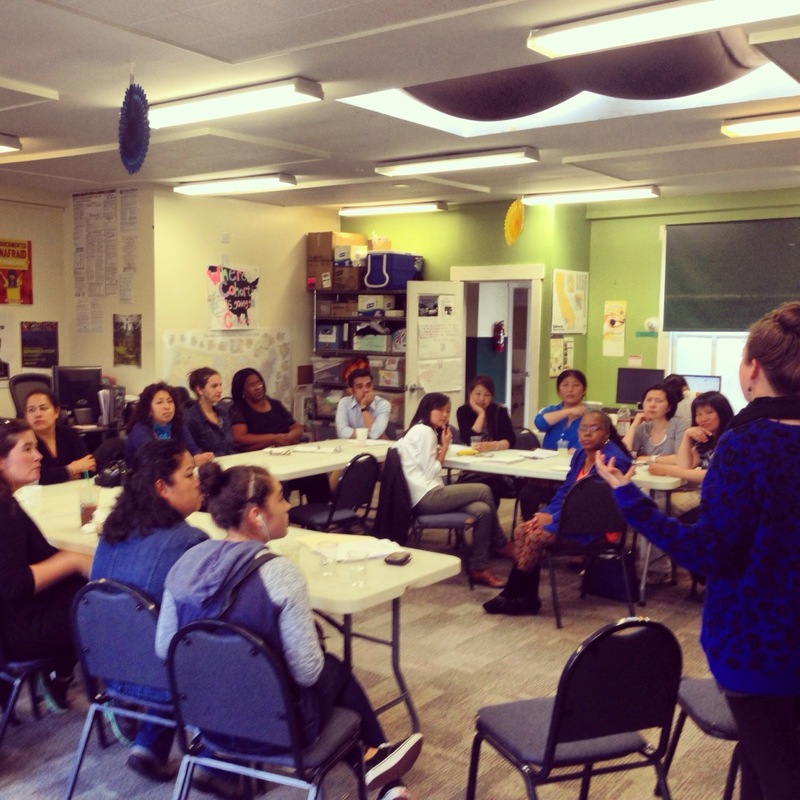 PVF: What inspired you to conduct a feasibility study for the San Francisco Family Academy? PMR: While working as an education policy director for Coleman Advocates for Children and Youth, a San Francisco based family advocacy non-profit, I worked with various other community based organizations and school district staff to evaluate the scope of family and community engagement programs being provided by the San Francisco Unified School District (SFUSD). While the district had articulated a clear set of standards for supporting family engagement in schools, we still lacked a concrete strategy to help actualize some of these new standards. When I transitioned into graduate school, I began to search for proven models and best practices used by school districts around the country to strengthen their family and community engagement efforts. Through this research, I discovered two promising models used by other large urban districts: the Parent University program in Boston Public Schools, and the Parent College program in the Los Angeles Unified School District. These models had successfully partnered with community-based organizations to offer leadership development and capacity building opportunities to thousands of public school parents and caregivers across their cities. After several months of studying these models and interviewing program staff in Boston and Los Angeles, I realized that a similar program could be re-created in San Francisco to help improve the quality and impact of the family engagement services we provide to our families in SFUSD. As an initial step for bringing this new family engagement model to San Francisco, I believed it was important to first gauge the level of interest from parents and community organizations around creating a Family Academy in San Francisco. The feasibility study was our way of ensuring that a Family Academy program had the support from families and community members before we proceeded with developing a model. PVF: How are you selecting participants for your study? PMR: We managed to convene focus groups of parents with the support of various community-based organizations and service providers that work with families across the city. As a result, we succeeded in bringing together a diverse group of parents from elementary, middle and high schools from all corners of the city. During these focus group sessions, we provided written and verbal translation in both Spanish and Chinese to meet the various language needs of the parents who were in attendance. PVF: What do you hope to accomplish with your project? PMR: The primary objective of the San Francisco Family Academy is to help expand opportunities that meaningfully prepare parents and caregivers to become true partners in supporting the learning of San Francisco’s children and youth. We believe that we can achieve this end by partnering with community-based organizations to offer parent empowerment workshops and leadership development trainings. So far, we have succeeded in securing the support of parent and community groups as well as the Superintendent of Schools for SFUSD. Right now, plans are underway to officially launch the inaugural San Francisco Family Academy in the fall of 2015. PVF: Have you faced any challenges so far? If so, how have you resolved them? PMR: The greatest challenge for me has been the physical distance. Over the past year, I have been completing a graduate degree on the east coast and have had to do much of this work around launching the San Francisco Family Academy remotely. To overcome this obstacle, I have relied heavily on email and phone calls to arrange meetings with school district staff, community organizations and other partner groups. On occasion, I have flown back to San Francisco during breaks and long weekends to lead in-person meetings. PMR: Growing up in an immigrant family in the Bay Area while attending public schools, I experienced firsthand the many ways that schools often fail to provide sufficient opportunities for involving parents and families in supporting the learning of students. For working families like mine, there have historically been issues of access that have prevented the full participation of our families. Despite the various events, meetings and appointments that schools offer to families, such activities can create obstacles for parents by not providing child-care, not offering verbal or written translation of materials for non-English speakers, and by being offered at times when working families cannot participate. There are now decades of research suggesting that family involvement is crucial to the development and academic success children across all ages, from early childhood to early adulthood. If we can provide San Francisco parents with knowledge and experiences that build their capacity to advocate and support their children, then we can ensure that every child has access to a quality education and achieves excellence in their schools. PMR: Through the San Francisco Family Academy, I hope that we can succeed in better equipping every SFUSD family to advocate for their children’s educational success. I believe that promoting an environment where families are better informed and engaged can translate to improvements in both individual students success as well as in the performance of schools district wide. PMR: Young people here in the Bay Area have always possessed the capacity and intuition to develop innovative solutions for addressing some of the most pressing social problems within our communities. What we often lack, however, are the resources and investments to transform our visions into realities. That is why programs like the Bay Area Inspire Awards are so critical. They help to empower individuals with local solutions for local issues that can tangibly improve people’s quality of life. We will continue to work with SFUSD staff and community partners over the summer up until formally launching the first San Francisco Family Academy in the fall term of the 2015-2016 academic year.